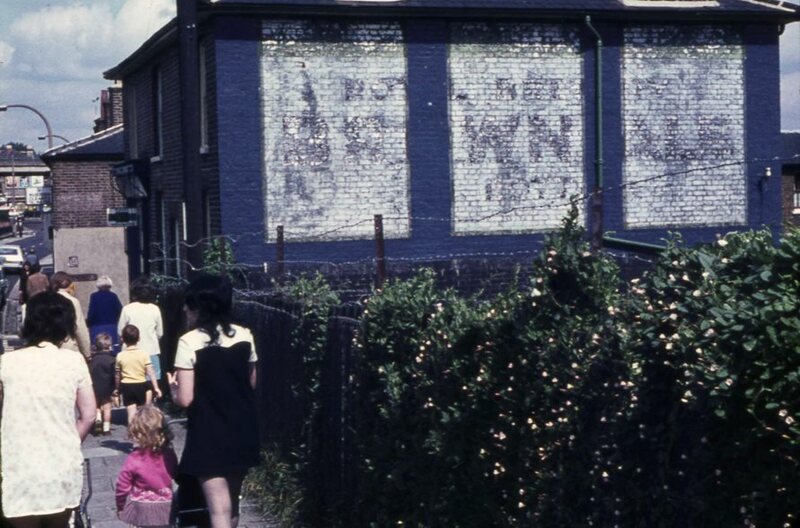 Peter Young took this photo of Windmill Road on a summers' day - 10 August 1972. It looks busy for a Thursday. There is a 'ghost sign', long ago painted on the building end: 'Royal Brewery Brown Ale' is all I can make out.